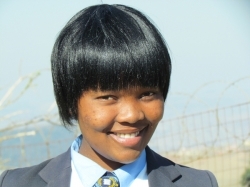 Watch what this RHIVA learner had to say about her RHIVA experience by watching our dvd. Education is a strong protective factor with declines in HIV infection rates being associated with higher levels of education (UNICEF 2000, UNESCO 2009). A strengthened education sector response to HIV and AIDS and sexual abuse can make an important contribution to reducing the incidence of both (UNICEF 2000, UNESCO 2009). Cash transfers are used to promote desired behaviours and there is a growing body of evidence in support of incentivised/ reward-based behaviour change interventions (Baird et al 2009, Fernald et al 2008, Rivera et al 2004, Volpp et al 2009). A strengthened education sector response to HIV and AIDS and sexual abuse can make an important contribution to reducing the incidence of both. The RHIVA programme is such a response: an innovative conditional cash transfer programme for adolescent students, it aims to reduce HIV infection through promoting healthy lifestyle behaviours, respect for self and others and a positive sense of future. Positive findings from the RHIVA trial in KZN have resulted in the Embassy of the Kingdom of the Netherlands approving the replication of this model in three SADC countries, namely Mozambique, Namibia and Zambia. RHIVA regional is a three-year programme, beginning in March 2013. To find out more about the RHIVA programme and its implementation in Southern Africa, watch our RHIVA DVD . The dvd covers the basic components of the programme and feedback from some of the principals, educators, learners and parents who took part. Happy viewing! ← 29 distinctions for the Class of 2012!